DAVID LE/Staff photo. 3/5/15. 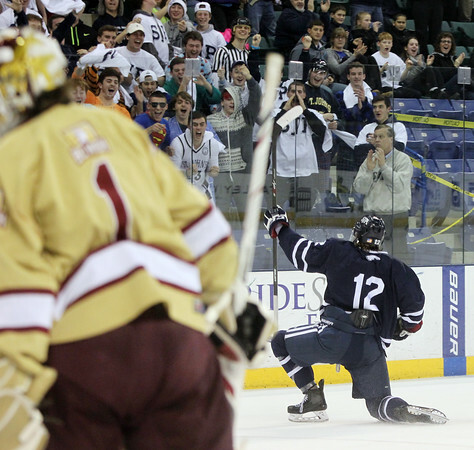 St. John's Prep senior captain Ted McNamara (12) celebrates his first period goal against BC high.